When it comes to saving money, most of us will simply set up a savings account and let the measly interest rates do their ‘magic’. However, unless you’re saving large sums in high-interest accounts, chances are you’ll only ever see cents and pence. There are ways to make your savings go further though, using clever investment opportunities. Some could even double your money. There're a few things you should consider before you start investing your savings. The first is whether you can actually afford to invest. 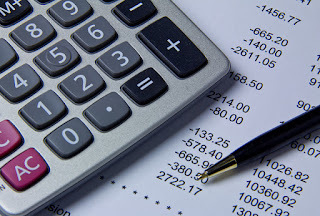 If you have urgent debts that need to be paid off, then this should always take priority. You should also consider how long you want to invest for and how much risk you’re willing to take. Longer investments can have a greater yield, but this may be no good if you’re planning on using the funds to buy a house imminently. Remember, there always some risk involved with investment opportunities. This means only invest as much as you’re able to afford. When you’re happy you have enough to invest, it’s time to look at all of the different options available. Ideally, you want to spread your funds out on a variety of different opportunities. This is called a diverse portfolio and is how most financial advisors will tell you to invest - the wise way! Here are some of the different types of investments, based on how much you have to spend. Stocks and Shares - You can invest small amounts into stocks and shares to double your savings. This is a great option if you’re planning on investing for the long term. You should be thinking of a minimum 5-10 years for stocks and shares. Silver - This precious metal isn’t as expensive as gold, yet still can have an impressive yield. You should look into how to buy silver and the different options available, before stocking up. Some options may be more expensive than others. 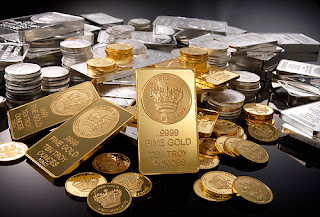 Gold - If you have a bit more of a budget then consider gold as an investment option. It is obviously more expensive than silver but is a good idea if you want to diversify your portfolio. The only drawback is that the market for gold can be turbulent. Business and Websites - You don’t need to be a business guru to invest in a startup. The same applies to buying websites. Become an angel investor and help new startups grow. Alternatively, invest in domain names and other Internet assets. Real Estate - Most people with a large sum to invest will look at going down the real estate route. Even when property prices are all over the place, you can rent your property out and still make a living. Antiques and Luxuries - You can make a quick profit with antiques and luxury items, especially classic cars and artwork. If you have a bit longer to wait, then consider items that increase in value over time. Fine wine is a prime example. By making the right investment choices, you can easily double your savings over time. Although there is no guaranteed profit from investment options, making the right moves can ensure you don’t lose any precious funds.